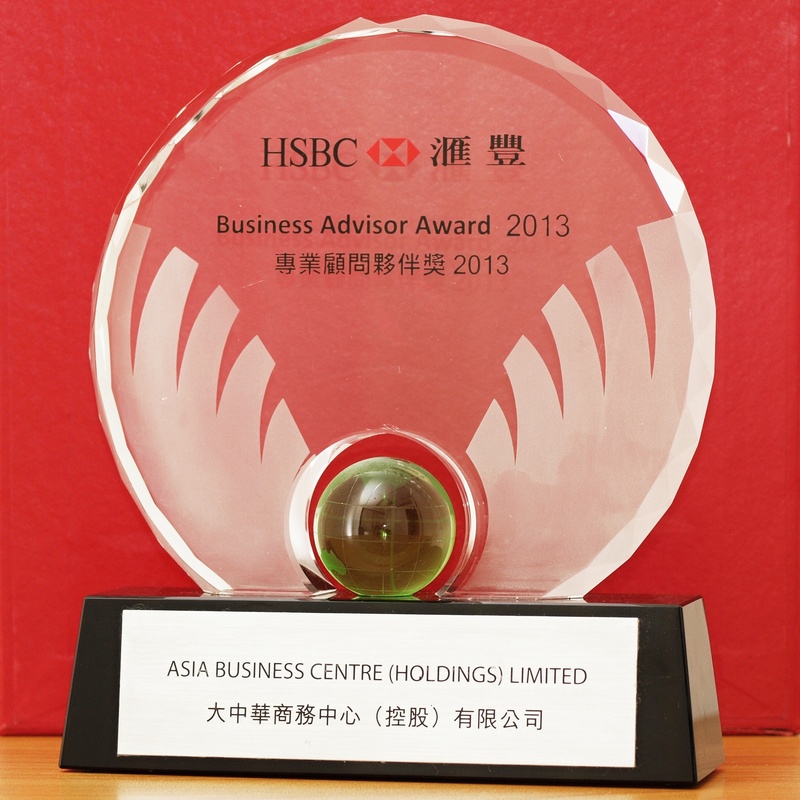 We are pleased to share with you the awards and accolades to AsiaBC. We have received recognition from our working partners as our track record of being a qualified corporate services provider to worldwide clients. AsiaBC is offered HSBC Business Advisor Award in 2013 as recognition as qualified back account opening intermediary of HSBC Hong Kong. 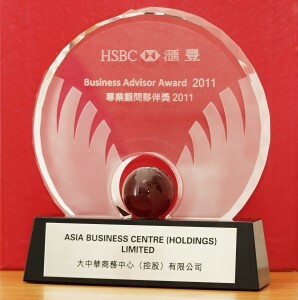 AsiaBC is able to work with HSBC Hong Kong as intermediate for clients’ corporate bank account opening in Hong Kong. 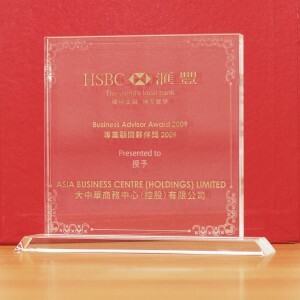 AsiaBC can arrange client interview with HSBC bankers and streamline the account opening process. 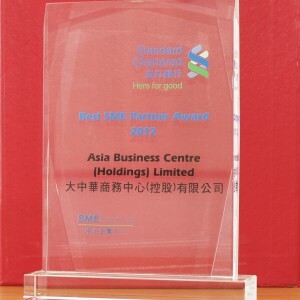 AsiaBC is offered Hong Kong Standard Chartered Bank Best SME Partner Awards in 2012 as recognition as qualified back account opening intermediary of Standard Chartered Bank in Hong Kong. 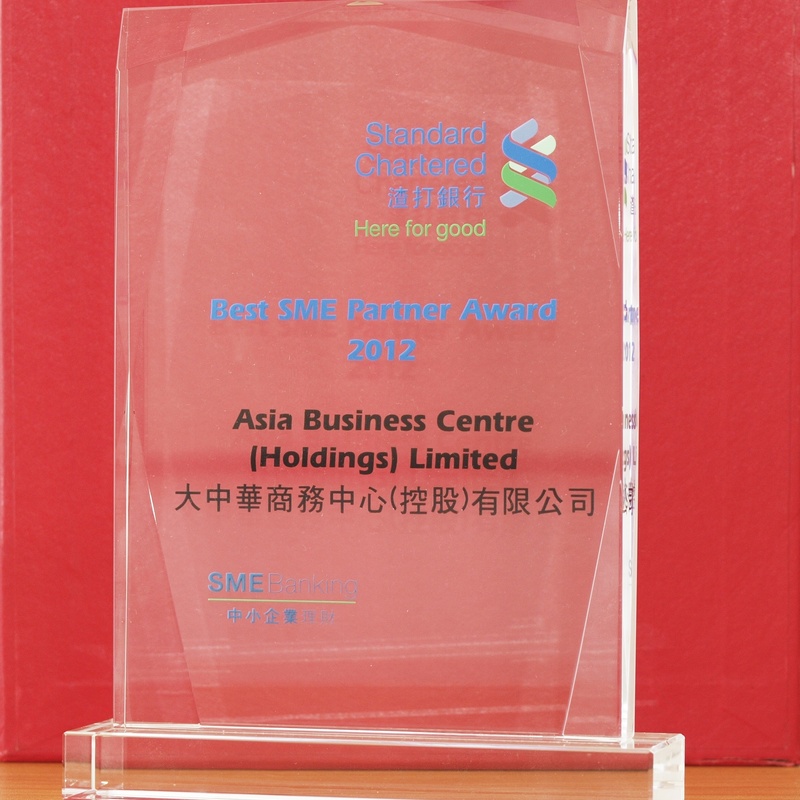 AsiaBC is able to work with Hong Kong Standard Chartered Bank as intermediate for clients’ corporate bank account opening in Hong Kong. 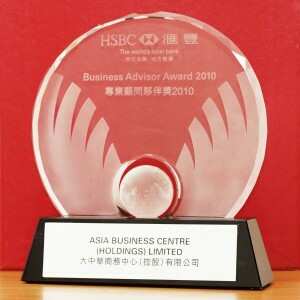 AsiaBC can arrange client interview with Hong Kong Standard Bank bankers and streamline the account opening process. 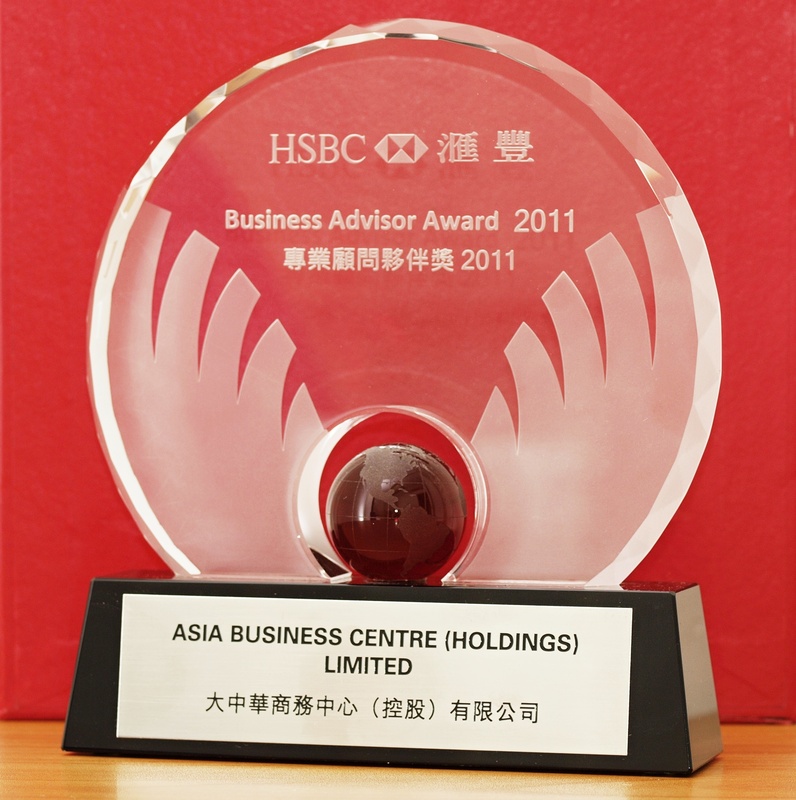 AsiaBC is offered HSBC Business Advisor Award in 2011 as recognition as qualified back account opening intermediary of HSBC Hong Kong. 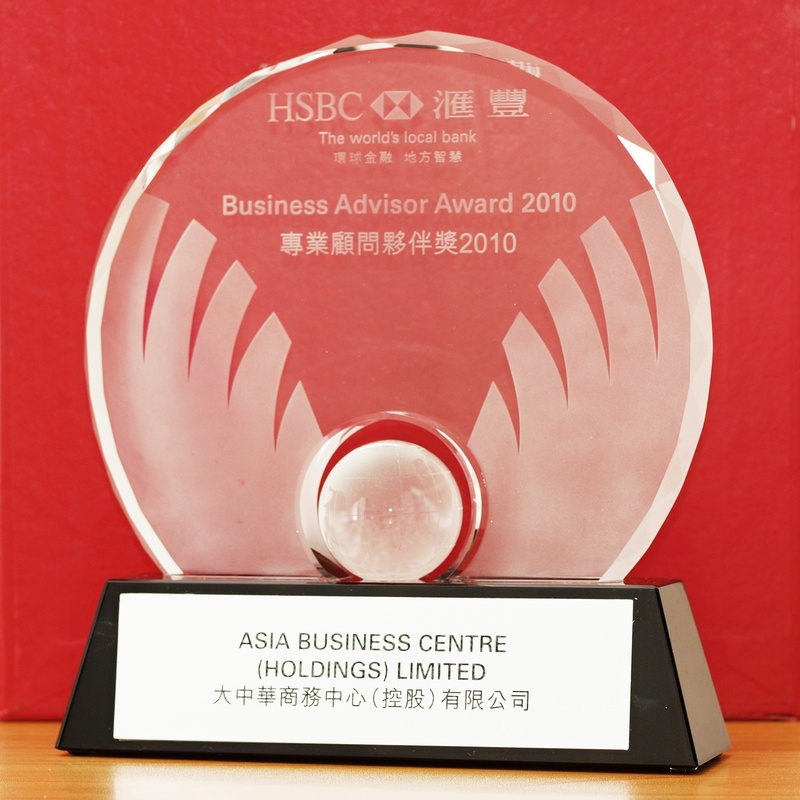 AsiaBC is offered HSBC Business Advisor Award in 2010 as recognition as qualified back account opening intermediary of HSBC Hong Kong. 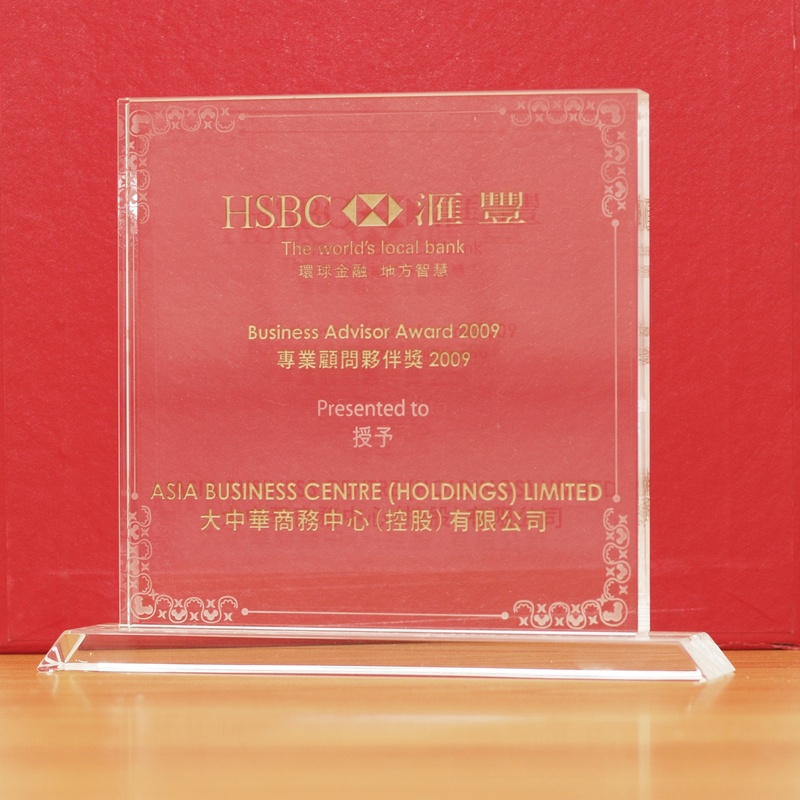 AsiaBC is offered HSBC Business Advisor Award in 2009 as recognition as qualified back account opening intermediary of HSBC Hong Kong. Confidence is built not bought.